Reverend Robert (Kuya) Alamodin was born in the 1950s Philippines, at a time and place where family, community, and Catholic Church were the axes that life revolved around. Robert’s earliest memories are of his loving, warm-hearted grandparents who helped raise him until his father uprooted the family to immigrate to the San Francisco Bay area when Robert was 5 years old. His upbringing was framed by traditional Catholic practices and service to the Filipino community. 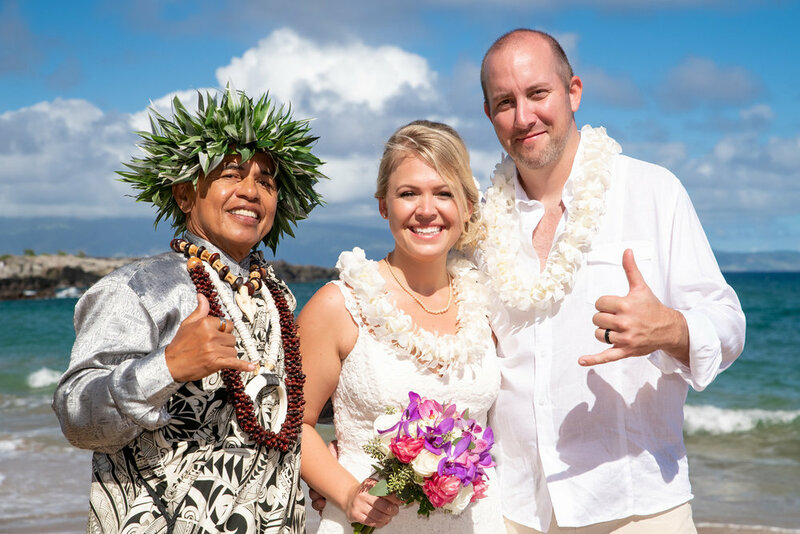 The former altar boy may have never found his calling as a wedding officiant if it had not been for his attemptat returning to his roots and his search for a more inclusive spirituality. 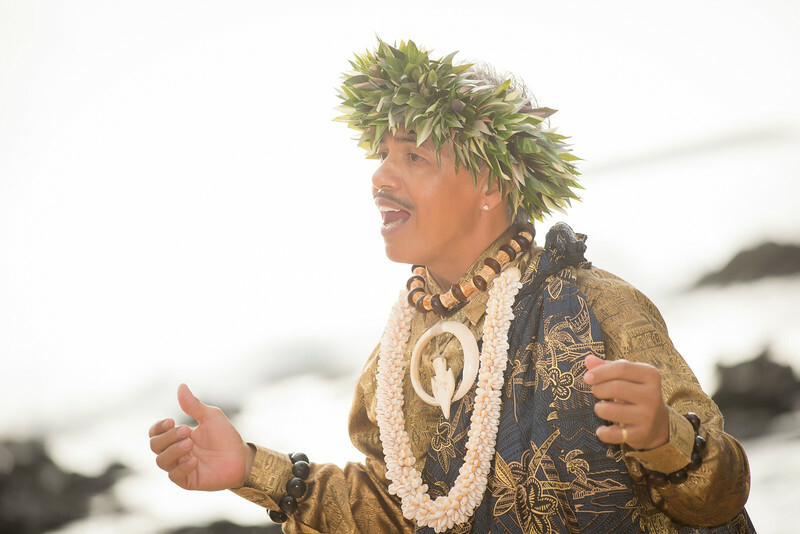 On his way back to the Philippines, a stopover in Hawaii in the 1980 changed everything! It was love at first sight, and this love affair continues. 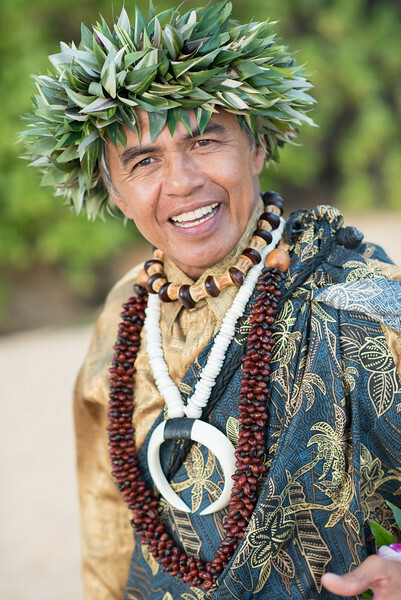 Maui, with its harmonious ethnic diversity and atmosphere of gentle tolerance born of “Aloha”, has been his home ever since.Reverend Roberto has also worked for the Ark of Maui as an attendant of special needs adults, and served as staff at Special Olympics events. As a Hospice volunteer and member of Doorway Into Light, his fondest calling is tending to those approaching life’s greatest transition with compassion and dignity. 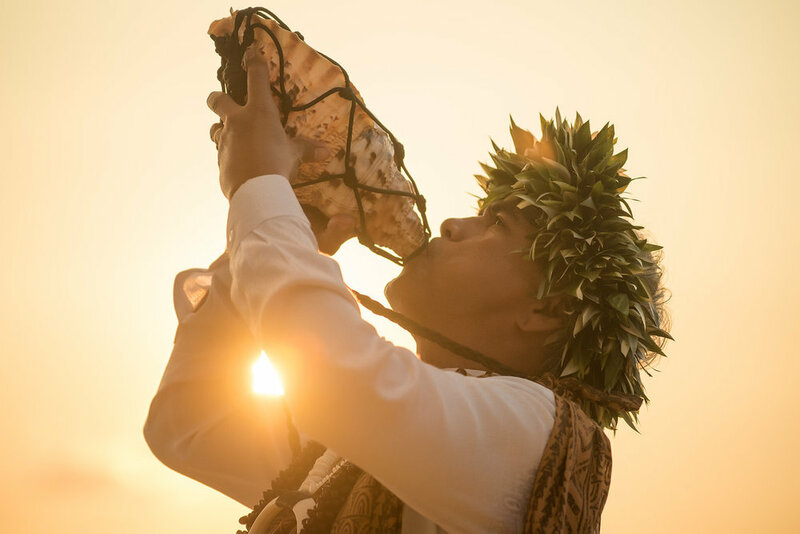 Ordained by the Universal Life Church, Robert’s non-denominational, interfaith wedding ceremony fuses traditional Hawaiian elements such as the Oli Chant and use of the Pu (Conch Shell) with Christian and Universal Spiritual Principles that recognize the human divinity in us all. Reverend Roberto is known for his deeply empathic, soulful demeanor that rarely fails to moisten the eyes of the brides and grooms he is honored to marry. His easy and warmhearted style soothes even the most anxious couple’s nerves.